Size: 62 x 46 cm. 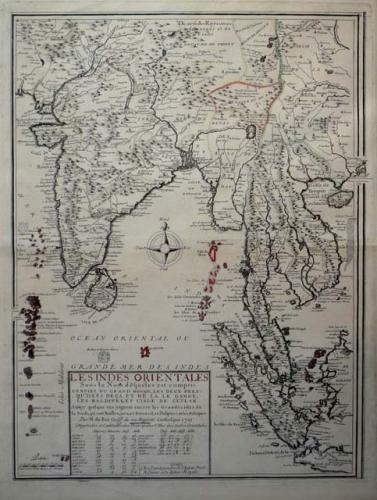 Title: 'Les Indes Orientales ...' from 'Atlas ou Receuil de Cartes Geographiques'. A very rare map of the East Indies bu De Fer / Danet. In very good condition, very minor toning. Seldom seen on the market.